Angry IPScanner mostly used in windows , preinstalled in backtrack 4 r2 . And not installed in Backtrack 5 . Easy interface and user friendly tool . 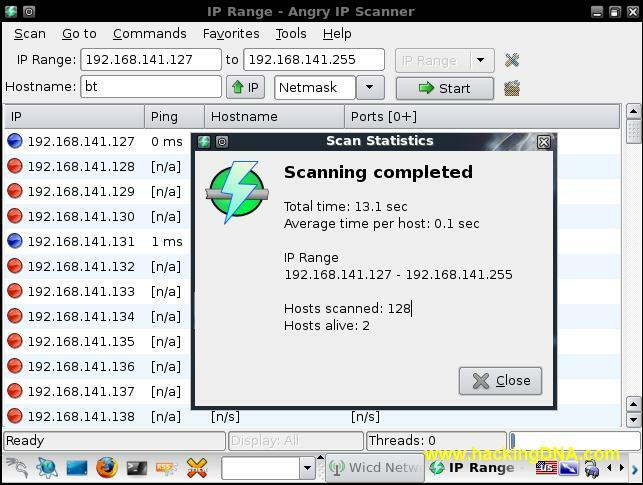 Angry IPScanner is a tool that is used to identify live or dead hosts in your lan or a any given range like 192.168.141.0 - 192.168.141.255 . 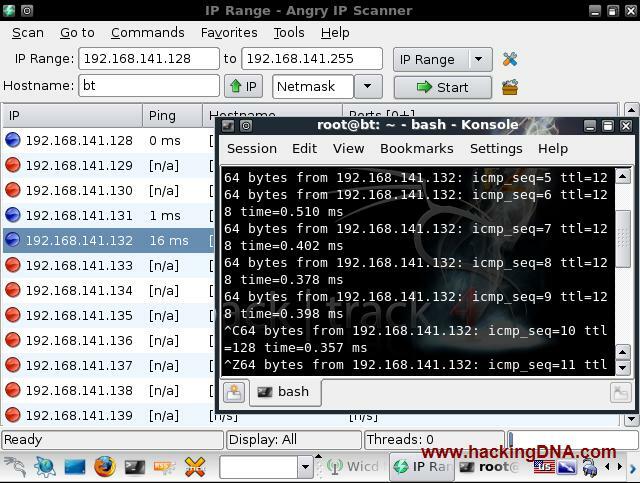 With the help of angryipscan , you can access FTP, TELNET, PING, TRACEROUTE , whois , Geoip etc .Some of them are shown in this tutorial . 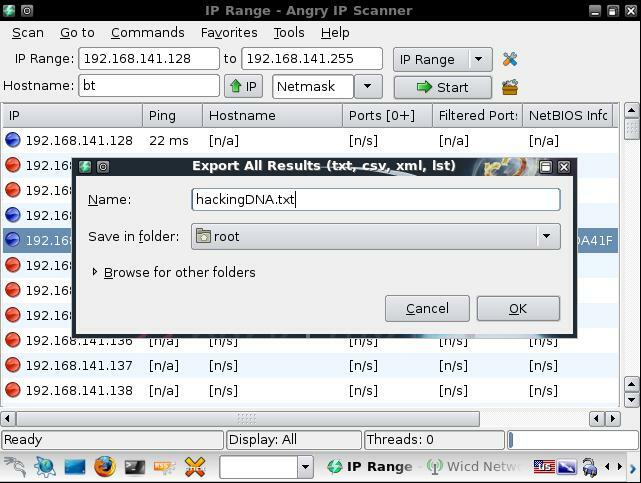 See how to use this tool and learn it quickly with hackingDNA.com and again don't forget your Backtrack 4 , Because old is gold . 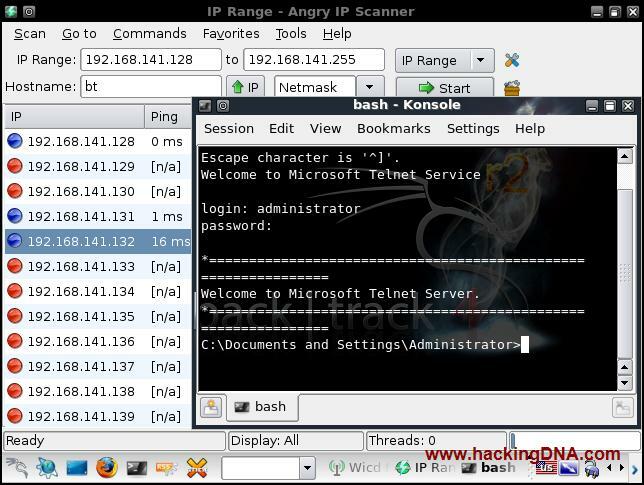 Using this tool is so simple just enter the ipaddress range in the boxes as shown in the below images . Below it shows 192.168.141.127 is the starting range from where the scan will start , and it will continue till 192.168.141.255 . And one you enter the details just press the Start button . 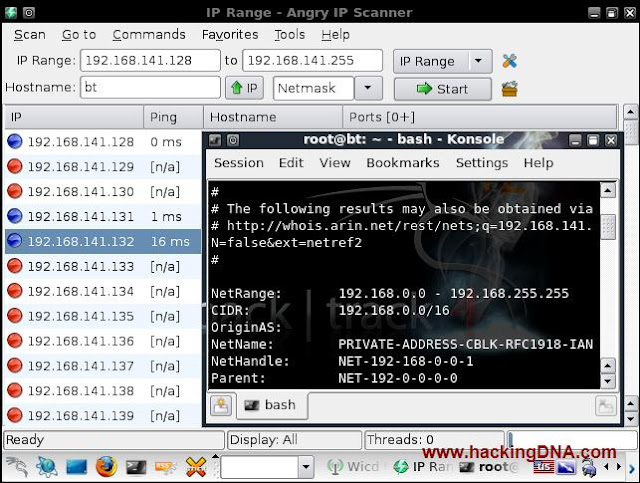 Ip address is hide due to privacy . The one changes we have done here is we select the netmask . We select " /16 " because the ip address is of class B . See the below image ,in 3.8 min it scanned 3729 hosts and 1334 hosts are alive , it means it's a large network to scan and you can find lots of fishes for further process. 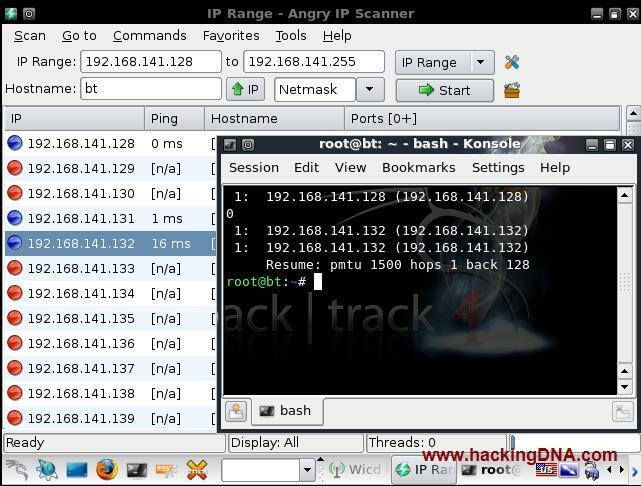 Another class C address we are going to scan through angryip scanner , with minimum less the a 30 sec , it scan 254 hosts in the ip range and found 45 alive hosts on the network . 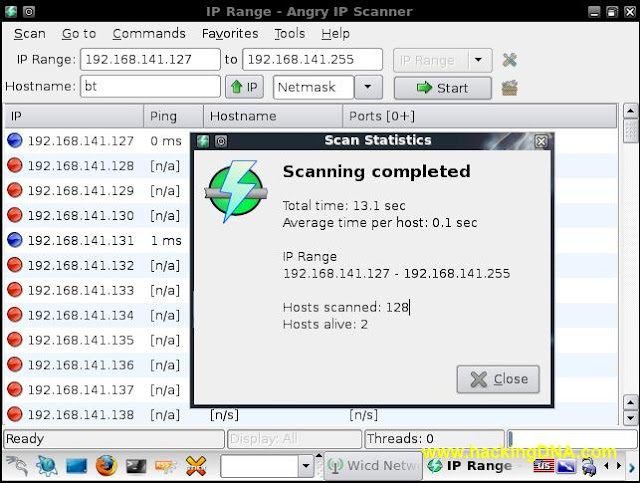 Through angryip scanner we can use different services like FTP, Telnet, Ping, Trace route , SSH , whois , Geo locate , Email Sample etc . Once window os pop-up select your all options from Available fetchers ( Right side ) and put it into Selected fetchers ( left side) and press OK . In my case , i have added all the options except comment . At the end , when you are done with the angry ipscanner you can export your all results in different formats like txt, csv,xml and lst . See the below image , in my case i have save my results in .txt format . THIS IS HOW WE CAN USE THIS TOOL , SIMPLY AWESOME AND VERY USEFUL TOOL FOR A SECURITY TESTER . SO DON'T FORGET THIS TOOLS EVER . TRY AND DO SOME HANDS ON EXPERIENCE WITH THIS SMART TOOL AND IF THERE IS ANY QUESTION YOU CAN WELCOME TO SHOUT ON MY FACEBOOK PAGE .